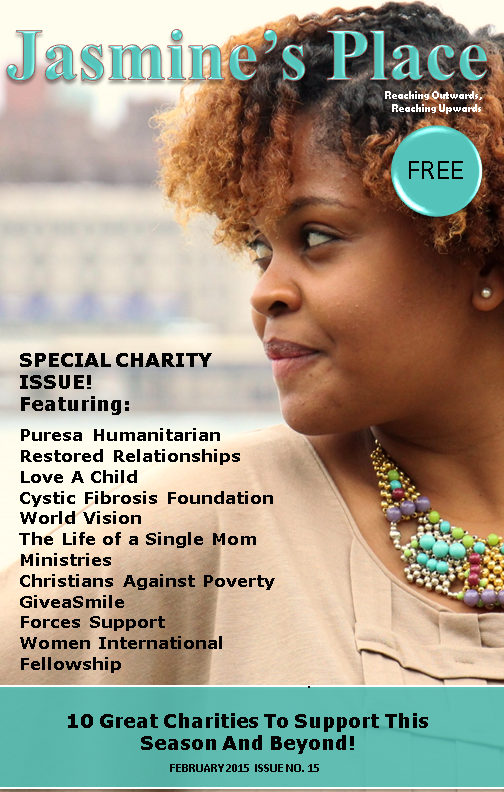 Jasmine’s Place is an online inspirational magazine for women. You’ll find inspiring stories of women finding hope, love, strength, endurance and many attributes necessary for success and fulfilment in life, through their faith in God. Women who live in the real world – through good and bad circumstances, good and bad events. Nevertheless, through it all, as long as they’ve given their lives to God, then step by step, He helps them be the best they can be on all levels, and an inspiration to their family, community and world. 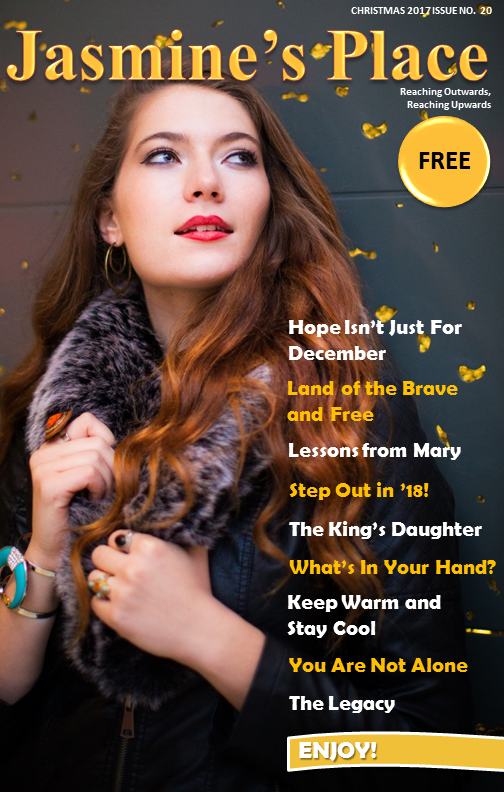 You’ll also find really great articles and features on style, beauty, healthy food and community action, in addition to practical advice, business tips + much more. Jasmine’s Place is where women are – in the office, on the school run, in the libraries, in the shops, in the home, in the traffic … It’s a magazine for today’s woman wrapped in extra-special love. The first issue was published at the end of August 2012 and the 9th issue would be published shortly. As with many ventures, there have been highs, lows, tense moments + plenty of prayers for help, skill and speed! 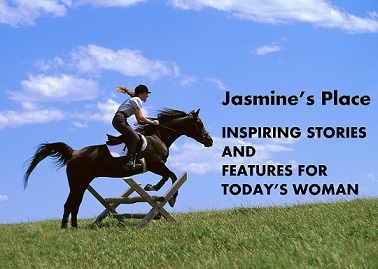 This site will be updated with news and stories as each issue of Jasmine’s Place is produced. Stay awhile. Take a look around. See you on the rest of the site! Next PostJasmine’s Place – Issue No. 9 is out!